Westacre is an attractive small village lying to the west of Castle Acre midway between there and the A47. Sutuated in the Nar Valley it lies in a popular walking area with many excellent trails following the valley and striding over the droveways of the former sheep country to north and south. 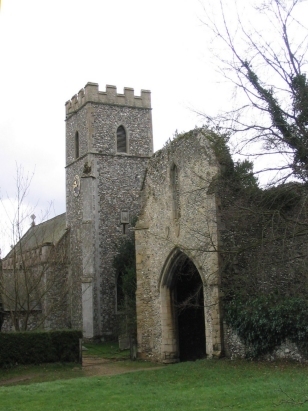 All Saints church sits adjacent to the Augustinian Priory and is largely 13th and 14th century in age. 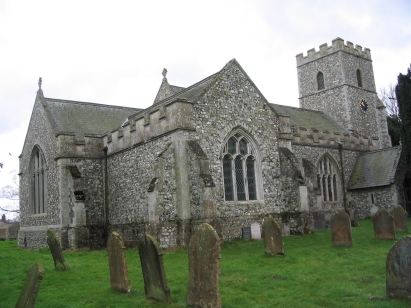 A fairly conventional example of Norfolk perpendicular featuring much flintwork. This transcript was compiled from microfilm MF1401 in the collection of the Norfolk Record Office. The filning was of a good standard and for the most part the incumbant's hand was clear and legible. Hopefully few errors will have occurred with the compilation of this transcript.